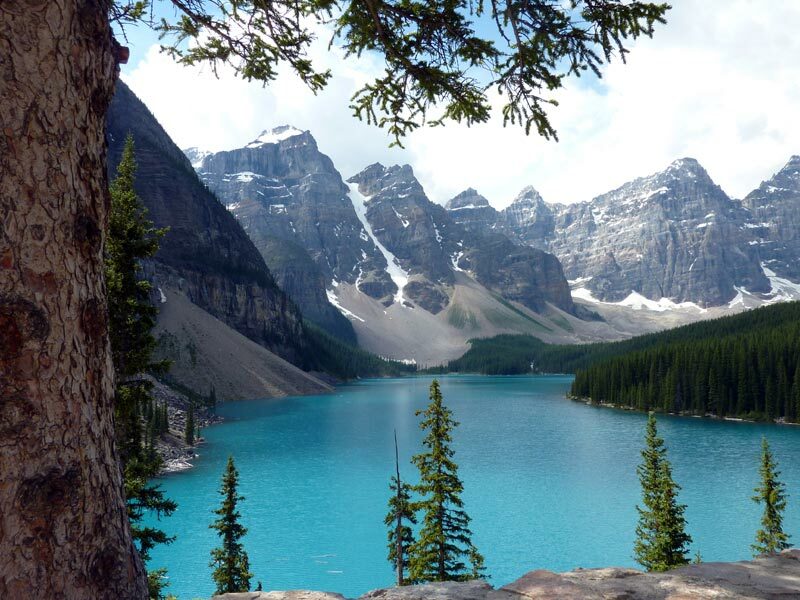 Moraine Lake. Julie and Stuart hiked up the "little" hill at the base of the lake to get this great perspective of this beautiful lake. I say "little" because if it wasn't little, Julie would not have hiked it. Julie does point out, however, that I (Rod) did not hike up there.